Color Correction // Photo Retouching $ 50.00 Hr. Art Design and Layout $ 75.00 Hr. 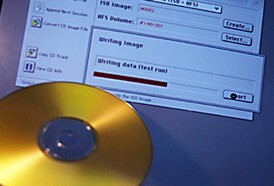 File Fixing I Troubleshooting (mm. $25.O0)~ $ 40.00 Hr. Hi-Res Photo Scanning (up to 4x5) $ 15.00 Ea. Hi-Res Photo Scanning (up to 5x7) $ 25.00 Ea. Hi-Res Photo Scanning (up to 8x10) $ 35.00 Ea. Hi-Res Photo Scanning (up to 11x17) $ 45.00 Ea. Laser proof (1 included with order) $ 3.00 Ea. High-end Accredited Digital Proof (AGFA-SHERPA) (8.5x1 1) $ 35.00 Ea. High-end Accredited Digital Proof (AGFA-SHERPA) (11x17) $ 60.00 Ea. High-end Accredited Digital Proof (AGFA-SHERPA) (17x22) $ 110.00 Ea.